Get your spring on with this fresh and flavoursome salad, best of all it’s ready in just minutes. Perfect for a quick weekend lunch with some nice bread or toasted pittas. 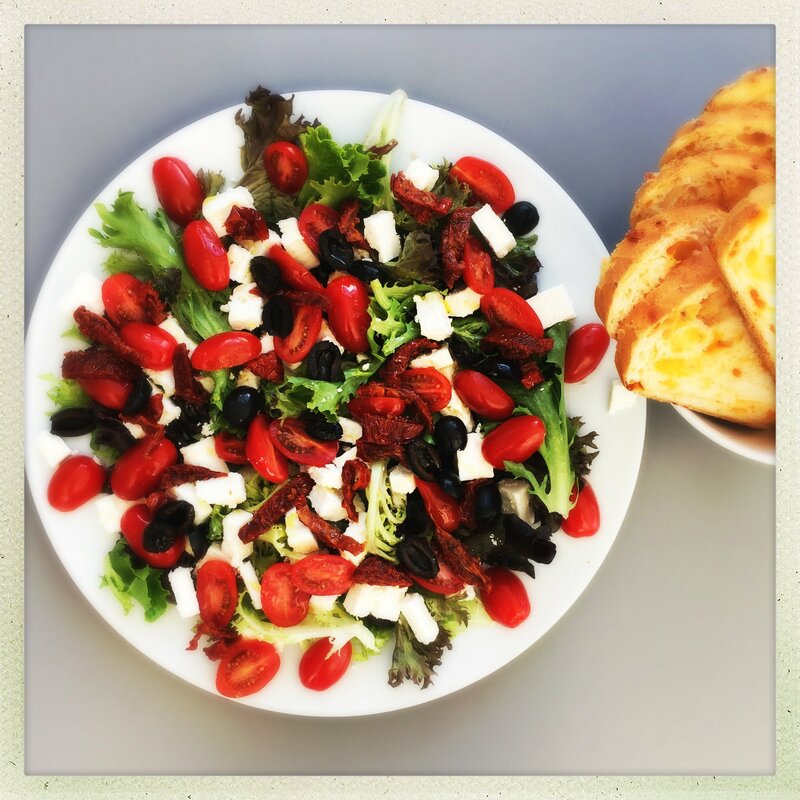 This super simple tomato and feta salad is bursting with sunshine flavours, ideal for eating as a complete meal or serving with grilled chicken or steak. 1 bag prepared salad leaves - choose a Continental mix with rocket and herbs. Tip the salad leaves onto a large serving plate. 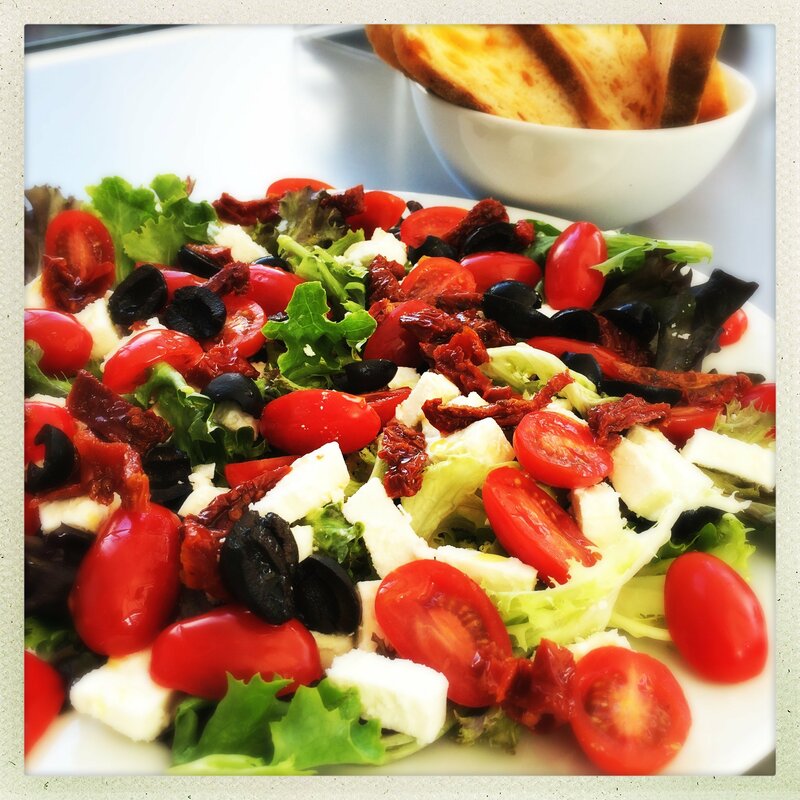 Scatter over the tomatoes, olives and sun dried tomatoes. Switch the feta for mozzarella. Delicious served in wraps or added to burger rolls topped with a juicy burger.